Representing The Fashion of Tomorrow, Today. So after months of debating, I’m currently sat on an island soaking in the sun thinking about what has been holding me back. The short answer is ‘Nothing but Myself’. So having gotten over this it’s time for me to let the world know that there is a lot in store for the road ahead. First on the agenda will be the launch of our new range, expect more details over the coming weeks, but for now here is a sneak peak of one of our new hoodies. As always all feedback is welcome. So you’ve probably seen me out and about rocking their garments over the summer, I finally managed to get some time in with the name behind the brand. 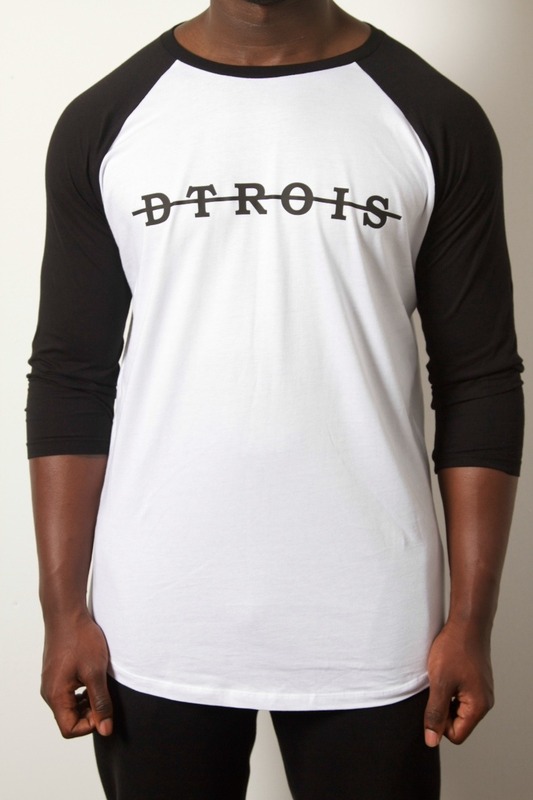 D’Trois is a high end European menswear brand founded by Daniel Deacon. 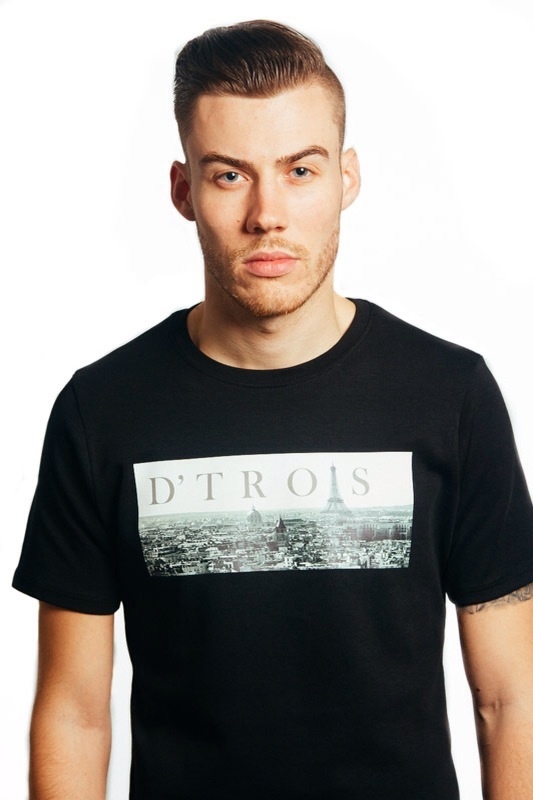 The name D’Trois means ‘of 3’ in the French language, it came about from Daniel, his brother and his sister all 3 of their names beginning with D so it was naturally fitting. They stock everything from your basic tees, intricate prints to velvet studded hoodies. What is the inspiration behind the range? The inspiration behind the brand came from me going through a phase of not liking anything that I was seeing in stores of any affordability and one summer I had an idea for a T-Shirt, I knew a local printer so I took my idea to him and he brought it to life for me. The feeling I had when I wore the T-Shirt and the compliments I received on it made me feel proud and happy and I just want to repeat that feeling in every design I create. What does your brand represent in your eyes? 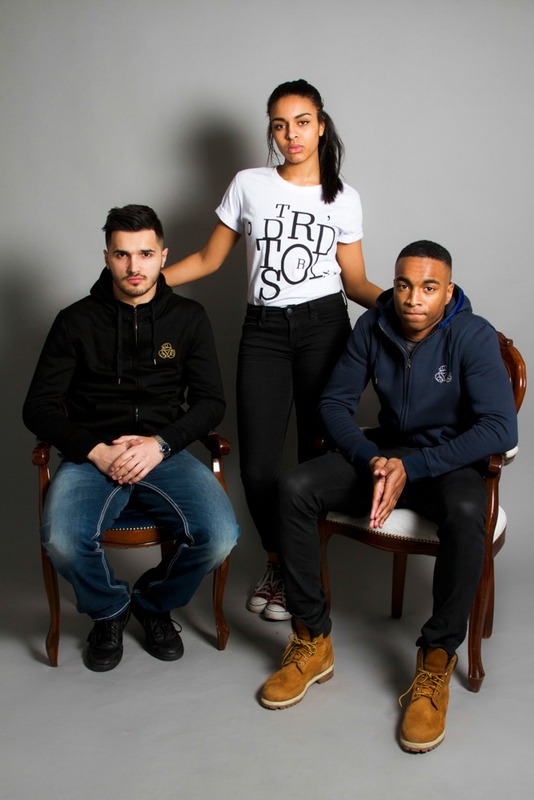 In my eyes D’Trois represents the fact that fashion isn’t just about following trends it’s about feeling good and comfortable in what you wear, the brand represents you as an individual. New rules. 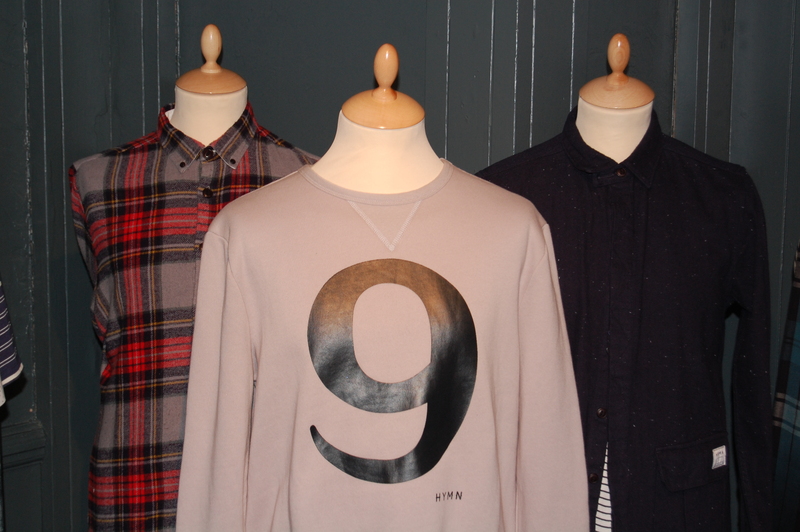 What is your is your signature/favourite piece from the range? My signature piece from the range would have to be the velvet stud hoodie, because that is the piece that caught people’s attention and let them actually know that D’Trois is a real brand. What struggles do/did you face when creating all your range? There are always barriers in whatever you do it’s just up to you to overcome them. Some of the struggles I faced when creating is that some of the designs weren’t very technical when it came to manufacturing. So ideas had to be altered in order for it to be produced. What do you enjoy most about designing your range? What I enjoy most about designing my range is seeing where my imagination can take me from just having a thought, feeling a certain way or just even seeing something i.e. a picture or view etc. Do you have any advice for upcoming/emerging designers? The one piece of advice I have for any new designers building a brand is don’t feel like you need to rush it take time to get everything correct and it will all come together. Sum up what it takes to design a range in one word? Define your range in 3 words? What does the future hold for D’Trois? In the future expect to see D’Trois in a few stores across the nation and a few more exciting collections and collaborations. I’ve got some projects in the pipeline but I don’t want to say too much just yet you just got to keep following us and wait and see. Be sure to also follow them on Twitter and Instagram and keep up to date to with the latest news & latest releases. Keep an eye out for this guy as I am sure he is gonna blow up.. So it appears summer is coming to an end. Days are getting shorter, nights are getting colder and the sun is doing nothing but waving goodbye. Met this lovely young lady a few months back and we got to talking and she mentioned she designed her own sheepskin range. With winter coming up I thought it would be the perfect time to showcase her talent. 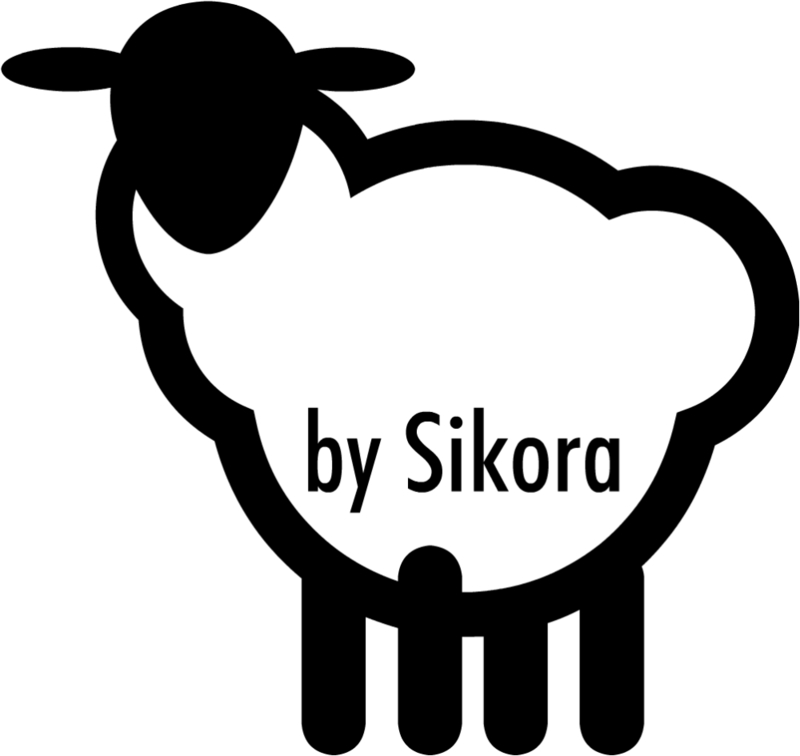 ‘by Sikora’ sell high quality sheepskin slippers for those who like life to be a little less pedestrian! 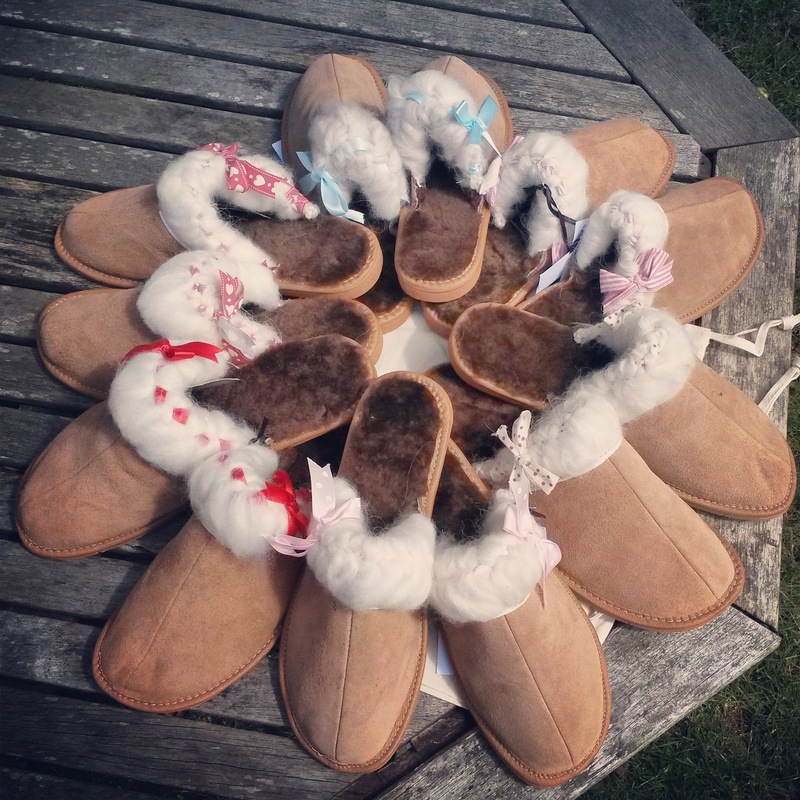 Their products, which are made from British sheepskins and made in Poland, not only look great but also do the job and most importantly bring a smile to your face. At present, they make a point of using small producers in rural communities in order that their business supports the core of the production process. They hope that this is something they can develop further as they grow. One thing for sure is that customers will look unique and stand out with every one of their products, which is definitely something to get excited about. To be honest, probably just sheer bloody mindedness. I wanted to create something with a twist, something a little less pedestrian and so ran with it- possibly a little too far! The inspiration stemmed initially from the traditional mountain slippers we sell, the colours, the different elements all coming together with the ethnic twist. What is your signature/favourite piece from the range? The favourite piece would have to be the own designed FFY slipper. It’s cheeky and versatile- I couldn’t wait to get a pair on my feet! It was deigned to be fun and fluffy but was quickly adapted to provide a more luxe option (braided with ribbon) for those who are slightly more adventurous! They’re so incredibly soft. 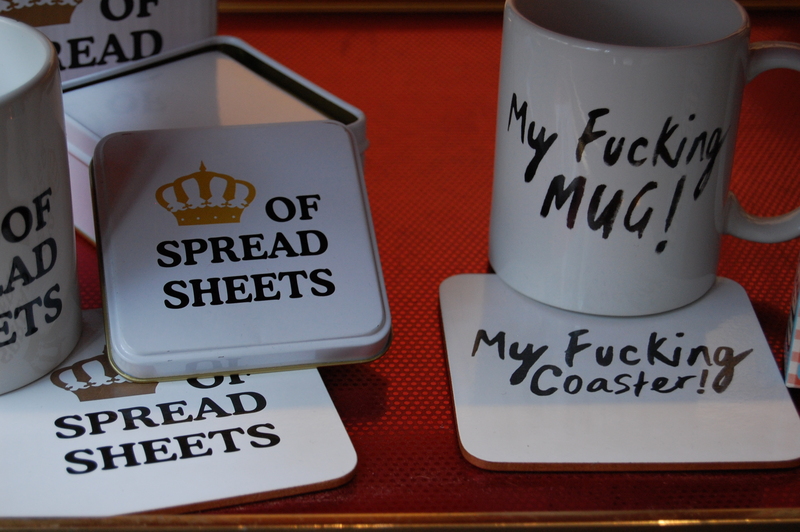 What struggles do/did you face when creating all your products? Communication! Our products are all made in Poland using British sheepskin. We chose Poland, partly for heritage but partly to allow the product to be of high quality but at a reasonable price, whilst keeping production within the EU. Coming from a rural background here in the UK, we were keen to support rural producers in Poland but this meant that the further we went, the less common English speaking was. Fortunately, my aunt is Polish speaking and has helped us out massively. We did look into an all British production system- British skins, British production. It wasn’t achievable for us in the short term but it is something that we would look to develop in the future. What do you enjoy most about being a designing your range? 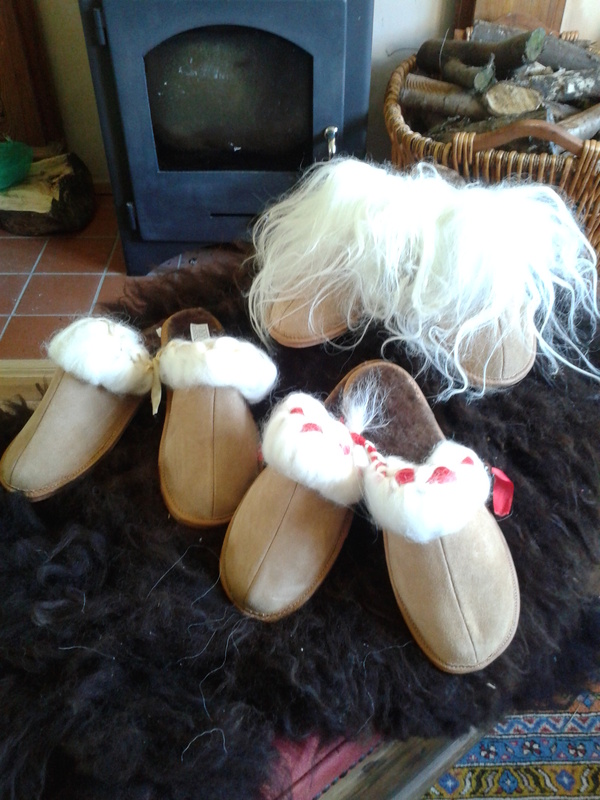 Our range is a combination of own design products and the long standing traditional mountain slippers. I love seeing how ideas develop. It’s always great to see these products for the first time and be able to trial run them before anyone else! I also love traveling to different places to get inspiration for products, travel is undoubtedly the best way to see new things. Just keep going! Believe absolutely in your products/designs. If you could sum up what it takes to design a range in one word what would it be? What does the future hold for ‘by Sikora’? We want to go big! 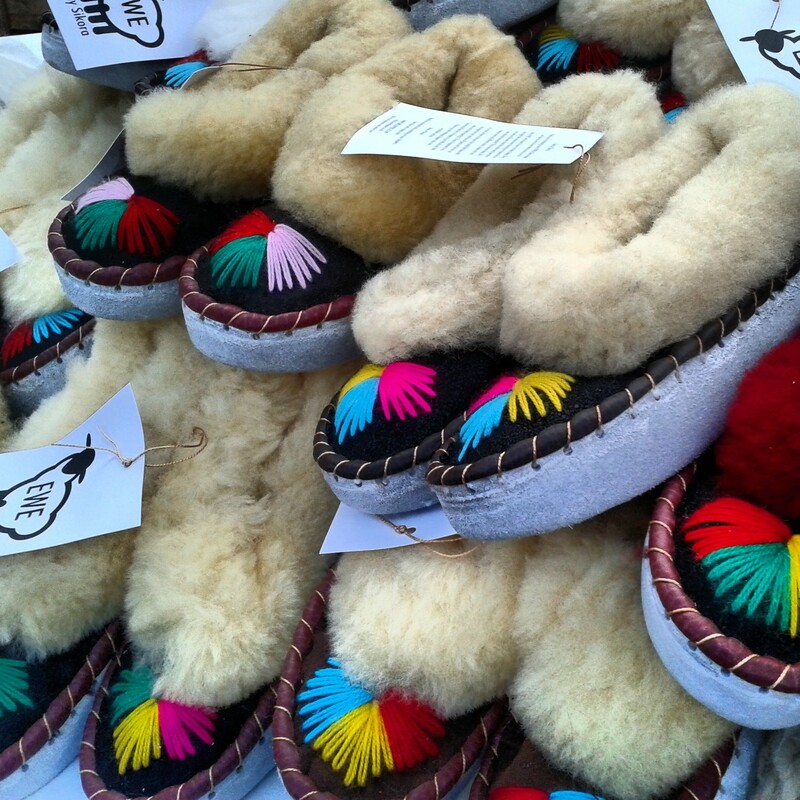 In the short term it’s about building that raving fan base- getting out there and showing off our fabulous slippers! 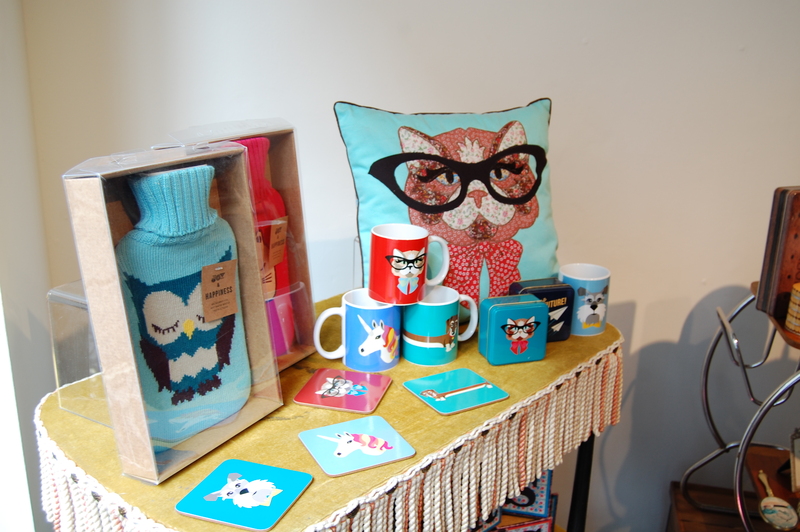 We’re also looking at pitching to stores, both independent and department and are welcome to suggestions! We’ve got so many ideas but it’s one step at a time. If you are an up & coming and emerging designer this is definitely something of note and should be worth considering. All the details can be found below. open call and present your best of British design to our expert panel. Do you have a unique and innovative product you dream of seeing stocked on the renowned shelves of Liberty? Join us at the next Liberty British Design Open Call to present your designs to our expert panel of judges, and it may just become a reality. 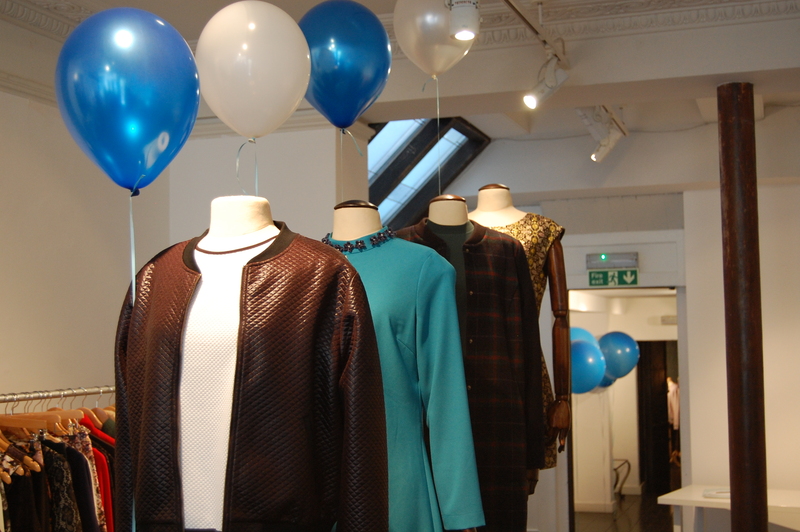 In a continual bid to recognise and support new and emerging design talent, Liberty is hosting its 6th British Design Open Call on Saturday 30th August 2014. This is a unique opportunity to present products directly to Liberty’s Managing Director, Ed Burstell, his esteemed buying team and industry experts – including top names from press and fashion retail. But don’t expect a Dragon’s Den – rather a chance for new and established designers to receive considered and helpful advice from experts on how to nurture and develop your ideas. The best designers selected by the judges will get the chance to have their products sold at Liberty, a name synonymous with the very best of new design since its doors first opened in 1875. Please make sure your email is no more than 5MB in size. Please note, you will need to present a finished product to the judging panel on the day. A confirmation email containing all details for the day will be sent within 48 hours of registration. Please note, this year’s British Design Open Call will be filmed by Rize USA makers of Channel 4’s Liberty of London. If you do not wish to be filmed, please specify this in your registration email. Taking a break from the future of fashion to quickly revel in the past & present. 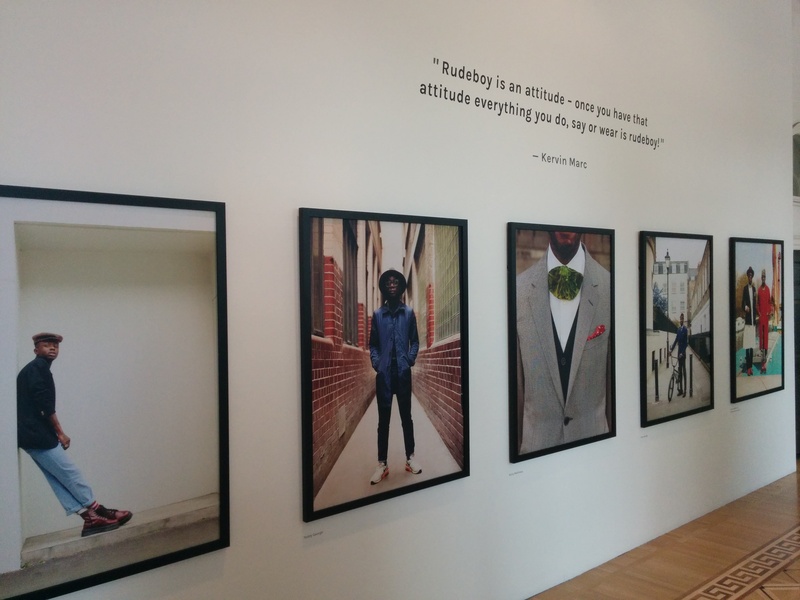 A few weeks ago I came across an exhibition that was showing at Somerset house called ‘Return of the Rudeboy’ and being the culture seeker that I am I felt this would be a good time as any to go and check it out. I can safely say I was not disappointed and left enriched with culture and inspiration from what I had seen. For those of you that do not know about the Rudeboy scene, Rudeboy is a slang term that originated in 1960s Jamaican street culture, and which are still used today. In the late 1970s, the 2 Tone ska revival in England saw the terms rude boy and rude girl, among other variations, being used to describe fans of that genre. Rudeboy or Rudegirl are not purely defined by the way that they dress, the way they style their hair or even the way that they dance. There is so much more and you will get a feel for all of it here. 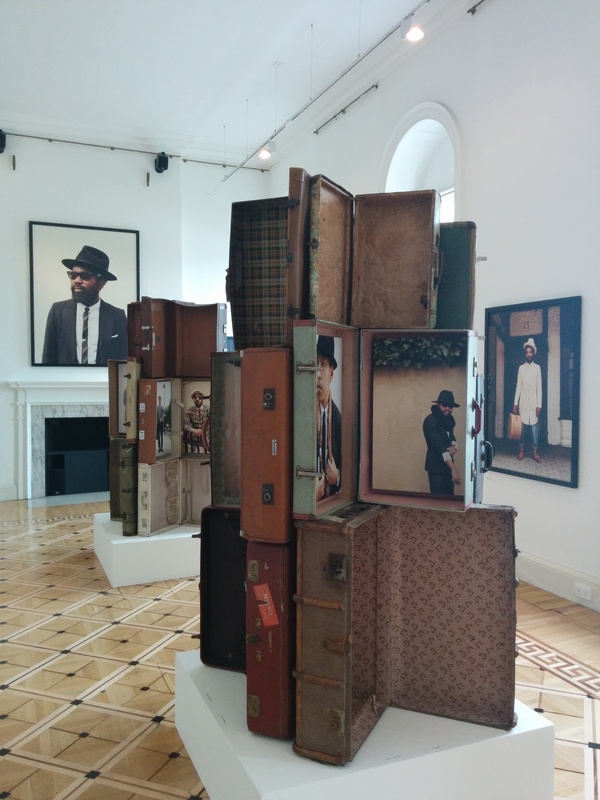 The exhibition was put together by prolific photographer and filmmaker Dean Chalkley and fashion-industry creative director Harris Elliott. It highlights the rich heritage of the Rudeboy culture. All images were taken over the last year, and none of the individuals were actually styled. What you see is how they style and live their lives today. The outfits are extremely well put together and it shows the level of creativity that this culture has impacted fashion to date. 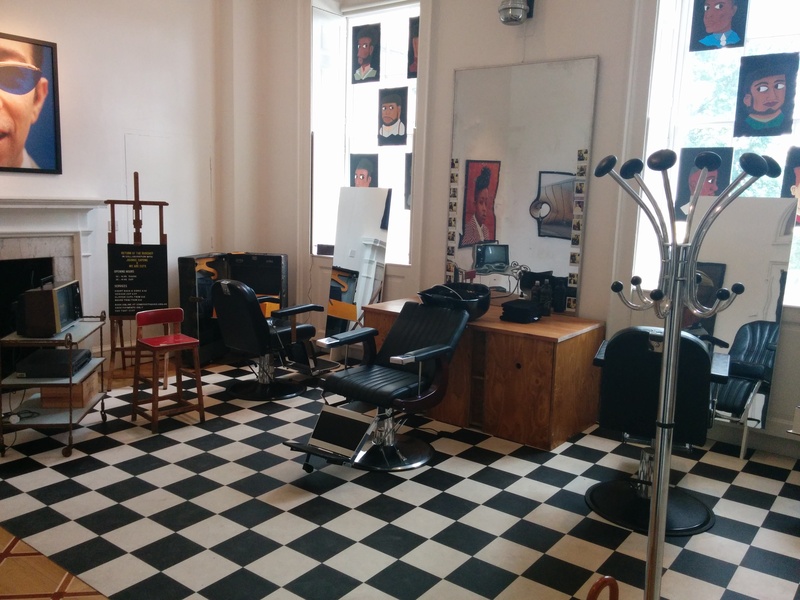 The exhibition will also host a pop-up ‘grooming station’ on Thursdays and Saturdays as well talks, films and guided tours. I don’t want to reveal everything, but if you get a chance definitely head down and take a look and I promise you will not be disappointed. It is free admission and it runs until the 25th of August. 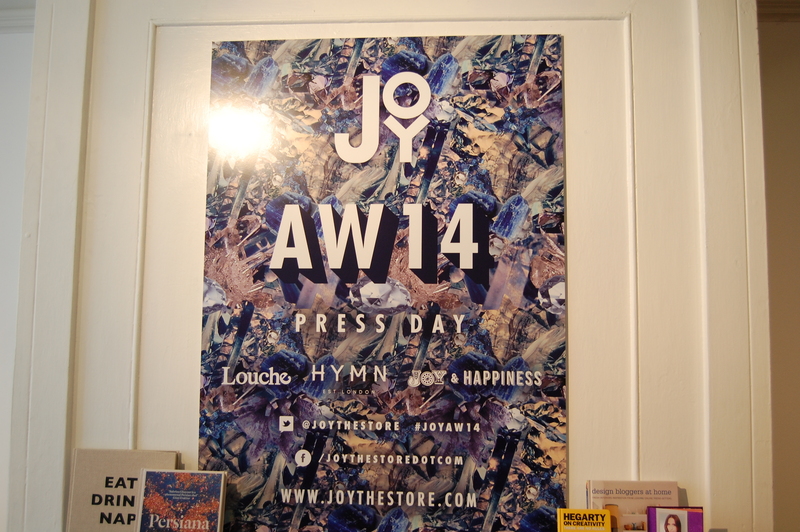 I was invited down to the JOY stores AW14 press event yesterday. 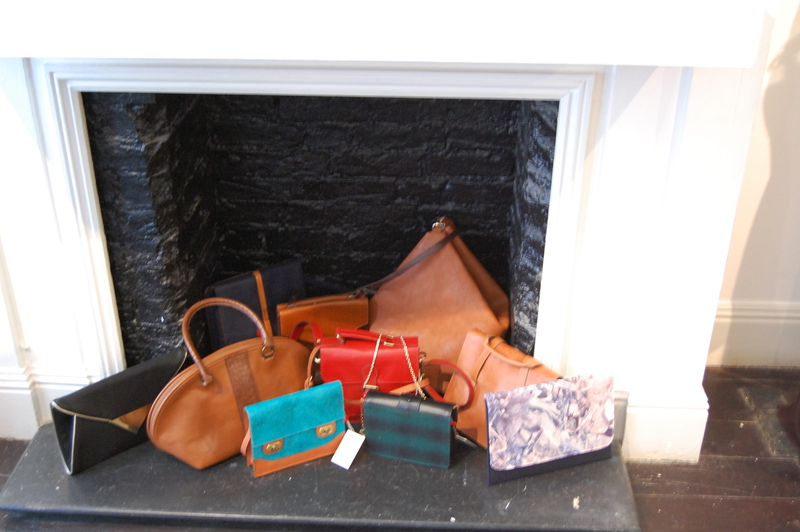 It was great to see familiar faces and the exciting new ranges the have on show. 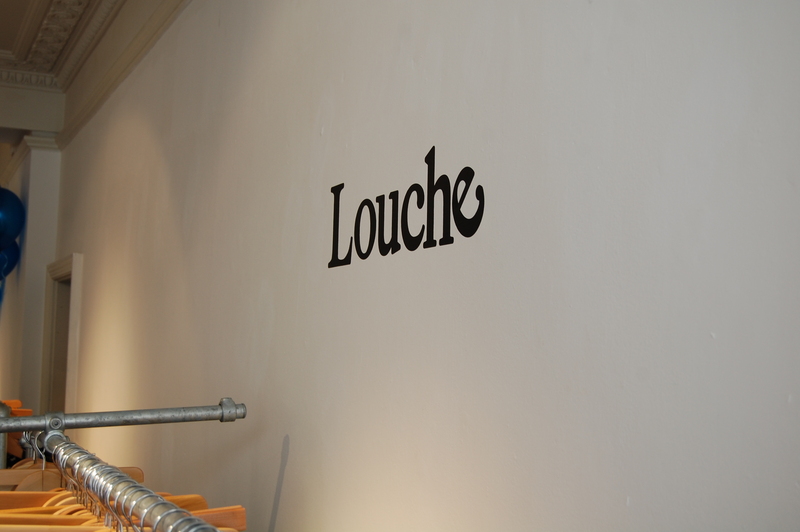 I had the pleasure of having a sneak peak for their upcoming releases HYMN, Louche and Joy & Happiness. 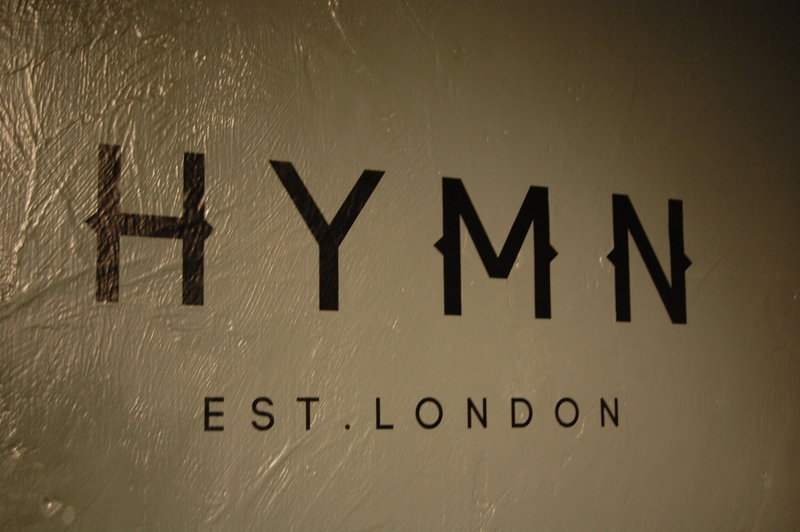 This time around HYMN has more of a grown up feel, you can tell the designer has really but some thought into what the customer wants. With a classic look and feel products are based on celebrities and popular movies. I overheard a great quote while I was there “it’s like Urban outfitters, but better” Make of it what you want but I am in total agreement. With focus on strong prints and patterns, great textures and engaging colours the women’s range is definitely something of note. 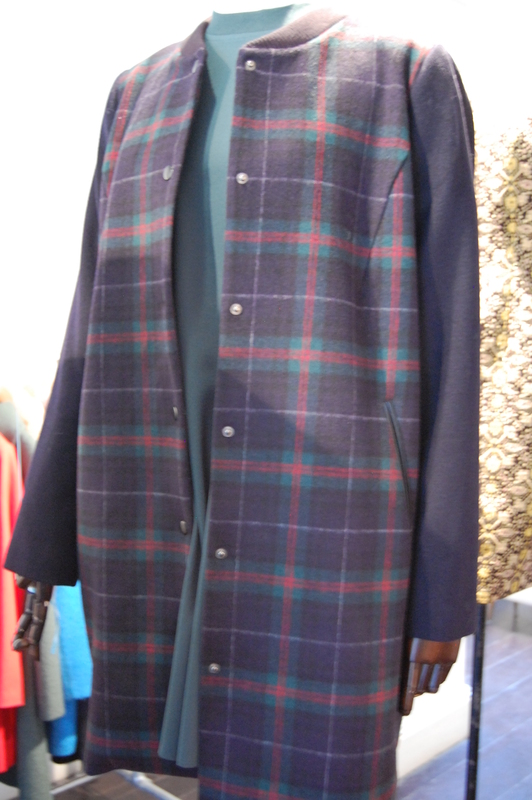 I for one loved the tartan jacket and can see this being a very popular item from the range. Finally they there was gifts and accessories. 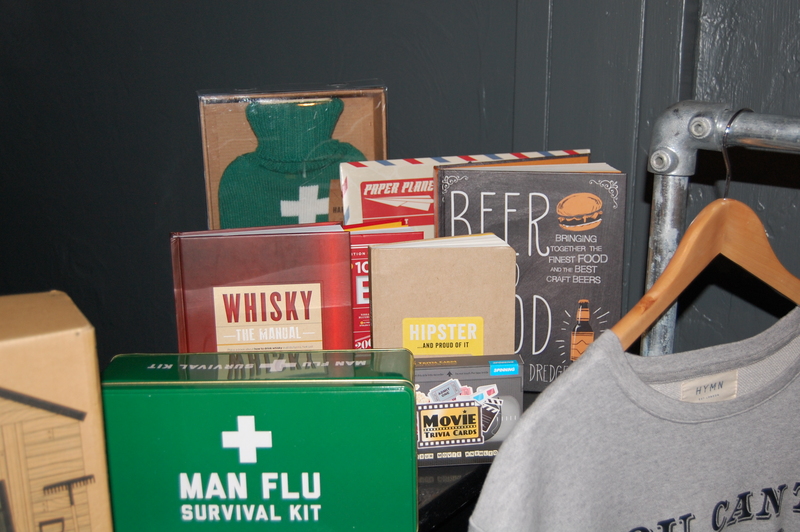 From ‘Man flu survival kit’, Books, handbags, coaster and tea strainers there is certainly something for everyone. Launch is likely to be scheduled for around September, but keep coming back here for updates and links. 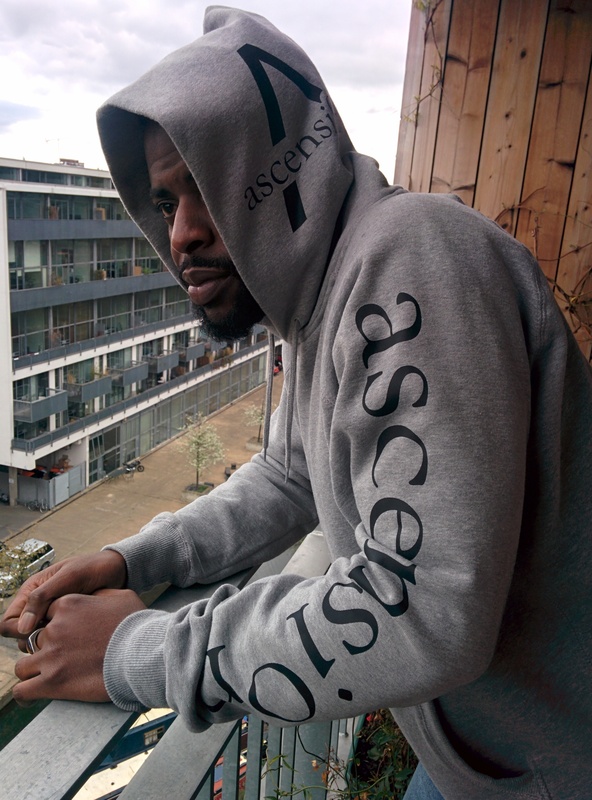 Ascension was born as I went in search of a forum where emerging talent within the urban fashion industry across Europe showcased creativity and individuality that I believe is currently undervalued . I am aiming to build platform where like minded individuals will be able to showcase their talent and also find inspiration as well as join an ever growing community of the future of fashion. Music, Fashion, Art plus anything we want! One Man's Classic Approach to Edgy Clothes. A spirited documentation of my personal style.